I was trying to catch my breath, keep from yelling, and hold my younger child safely as Abbey darted to and fro, without a care in the world. She had just wiggled, kicked, and shoved to keep her teachers and myself from being able to help her stand still and listen. Then she darted out of the room and ran around the corner of the hall . . . giggling. Afterward as I was changing Joseph in the restroom, she defied my request for her to stand near me, instead she lay in front of the restroom door with her foot in the door to keep it open, singing at the top of her lungs. I became increasingly frustrated, to the point at which I felt it was all I could do to hold my tongue and not become completely irate. Then she blew raspberries in my face and wiggled and ran when I tried to help her with her coat. It’s a scene that I never imagined myself in when I held my firstborn baby girl in my arms after her birth. 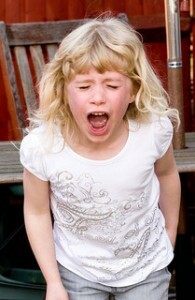 But it’s the kind of scene I have experienced several times throughout toddlerhood and now that Abbey is a preschooler. I’ve been told that it’s common among parenting journeys, but that doesn’t help me feel any better about it. It’s definitely a scene I’d rather not repeat. To Children, Play Is Their Whole World! During our discussion of the events as I tucked Abbey into bed that night, Abbey said the most interesting thing of all. I asked her why in the world she pushed, shoved, and wiggled to get away from us, and why she ran around the corner. “It’s not safe to do those things” I said. For a second, I was confused. And then I tried to explain to Abbey that there is a place for pretend and a place for regular behavior. But then it occurred to me that in her little child’s mind, there really isn’t a difference between playing and existence. That’s just how she LIVES. I smiled at her as I thought for a moment about what to say – how to clarify for her that there really are actions that can be dangerous, or times that require obedience – while respecting the creativity that is the very center of her little life. She agreed that she might be willing to “let me in” on her ideas before she runs off or ignores my direction in the future. I gave her a kiss and tucked her into bed, all the while realizing what a wall I put between myself and my child by expecting certain behaviors and becoming upset when what I expect is not what I get. 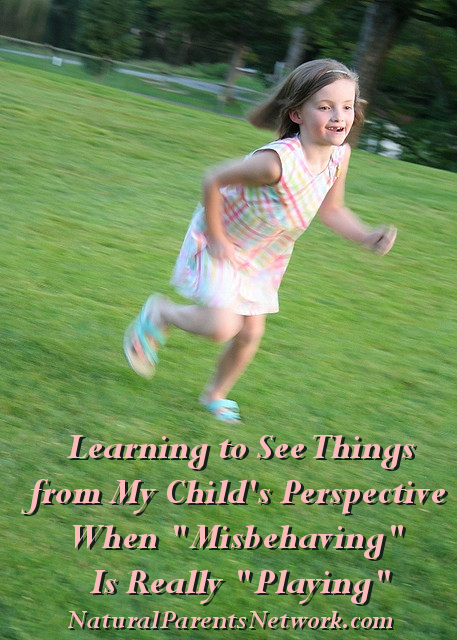 Abbey, at four years old, lives in her own perspective, and sometimes her behavior seems out of control when she really isn’t trying to misbehave. In these cases, responding with sensitivity is so important. “Sometimes a child’s behavior may seem difficult or disrespectful when it may just be a result of the child’s trying to make sense of the world”1. And isn’t that our job as parents? To help our children understand the world? I have decided to try and see things from my child’s perspective more often, and offer to her a respectful ear for her creative ideas and explanations for things. While practicing positive discipline techniques, I have begun to get more comfortable with asking her perspective before acting on things or trying to control experiences – and it seems to really help our relationship. Do you make time for your child to talk with you? Do you have realistic expectations that take into account how old your children are, what their attention span is like, and how much they can accomplish in any given time? Can you listen (without judging) as your child tells you his likes and dislikes, opinions, thoughts, and feelings? Respecting your child’s perspective can be like the first steps into a totally different world – because their perspective is so different from ours. But showing love to your child in this way can be life-changing! 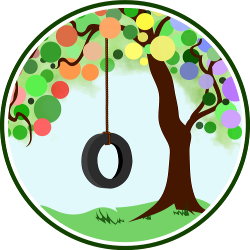 If you’d like to explore this idea further, Playful Parenting, by Lawrence J. Cohen, PhD is a great book reference for recognizing and becoming active in your child’s “wonderland” and understanding his or her point of view. I definitely want to see my DD’s perspective better and TRY to envision it before reacting to behavior. She is about to turn 4, too.